Welcome to 16 Euclid Avenue Suite M2! 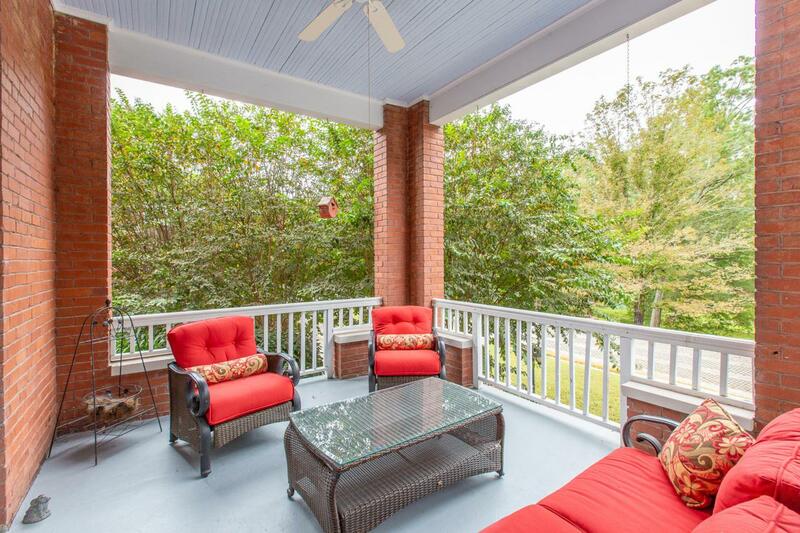 This charming condo is located in the heart of Historic Downtown Chickamauga, just steps away from restaurants, Crawfish Spring Park, Gordon Lee Mansion, and Gordon Lee High School. 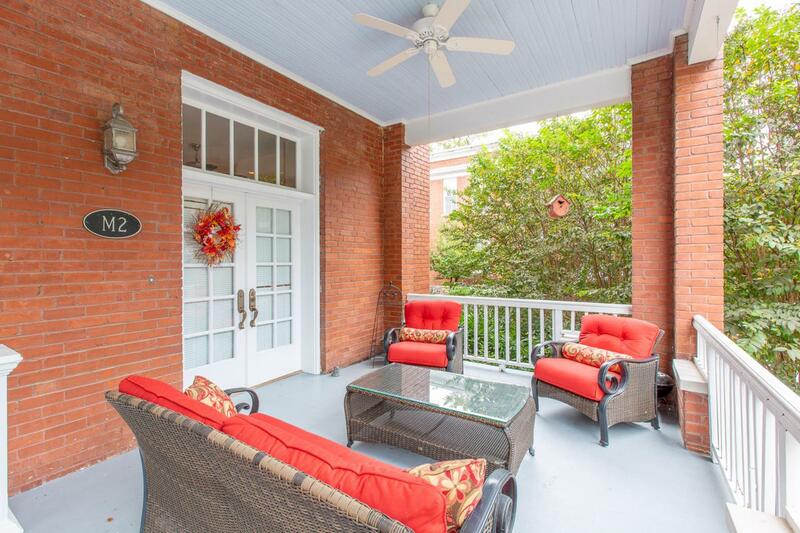 A spacious front porch and classic French doors welcome you inside. 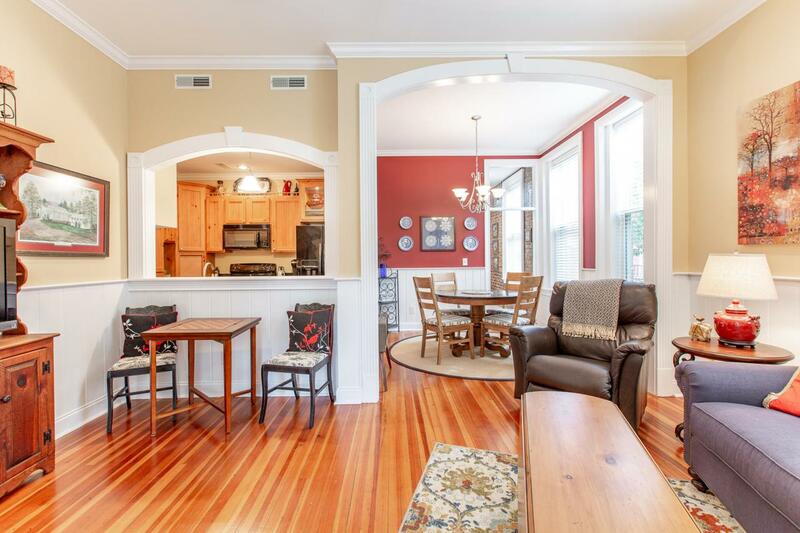 In the main living area, you will find beautiful pine floors, an abundance of natural light, and detailed molding. Through the living room, you will find the dining room and kitchen. The perfectly kept kitchen boasts granite countertops and outstanding pine cabinetry. Exposed brick and built-in details steal the show as you make your way down the main hall. The spacious master suite boasts a full private bath with separate sinks, a jetted tub, tile shower, and linen closet, and a walk-in closet with washerand dryer hookups. Down the hall, a full bathroom, perfect for guests, is just steps away from the second bedroom. The exposed brick detail continues into the spacious second bedroom, which boasts its own patio overlooking a peaceful courtyard. 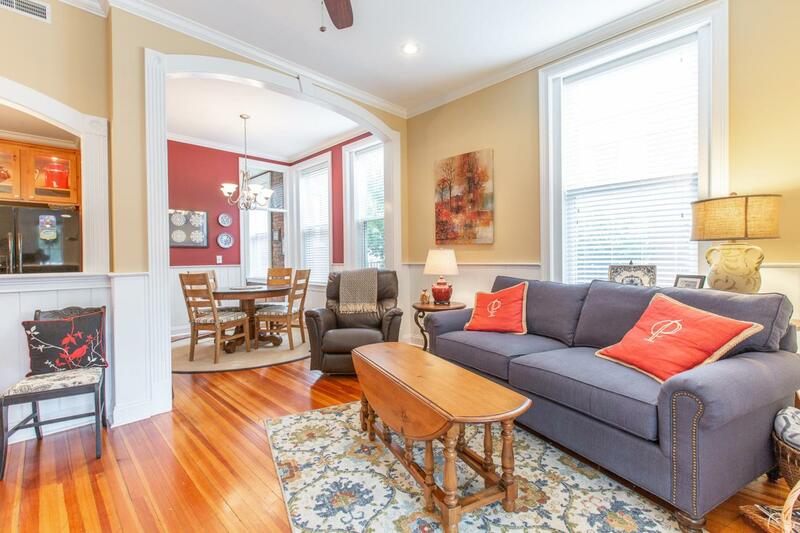 Don't miss the chance to make 16 Euclid Avenue your home! Buyer to verify square footage.